My best jogging times were when I was 19 and 20. I used to jog approximately 6 miles with a completion time between 45 minutes and 1 hour 15 minutes on a hilly terrain. Here’s my old route. 45 minutes was my best time which is a sustained 7 minute mile. It felt like jogging to me but may have been running, I’d have to ask a professional runner to clarify. Sitting in front of a computer drinking soda’s, lattes, or other sugary drinks is horrible for fitness. A daily Starbucks is just as bad as the 6 pack of soda I used to drink before lunch in 2008. In late 2010 and early 2011 I topped out on the treadmill at 9 miles per hour and could sustain an 8 mile per hour run for 3 or 4 minutes. This was the time I went from 252 pounds to 188 pounds in 60 days and everyone thought those were good running times for an out of shape civilian. I’m almost 35 now but surprisingly I topped out this year at 19.9 miles per hour in South Dakota and 14.8 miles per hour in Southern California. There is more pollution in Southern California especially near Los Angeles so location matters in this instance due to increased performance with increased oxygenation. My “fitness journey” started up again in December 2016. It took me about 4 hours for a 4 mile walk so 1 mile per hour at the start. 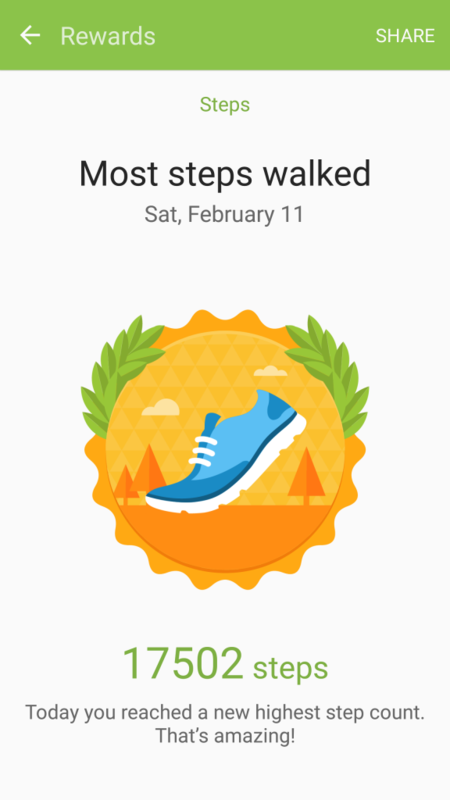 Below is my step counter on my smartphone in February. One of my bucket list items that I still have not had a chance to do is run a half marathon and full marathon. The first step was to see if I could even complete a half marathon. 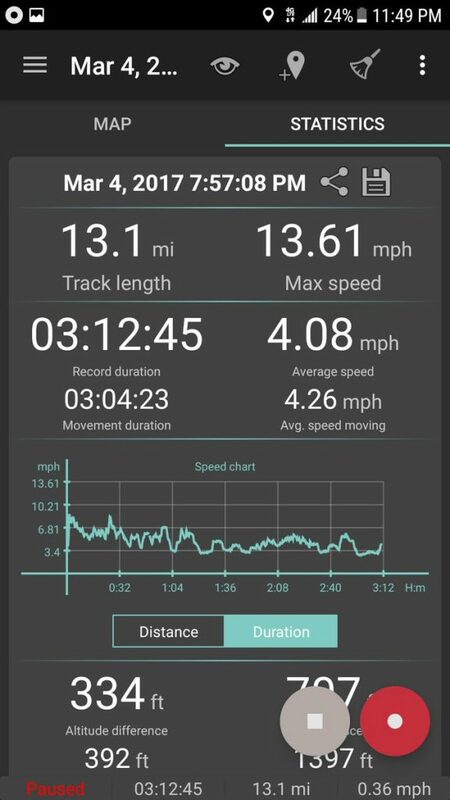 I completed the distance for a half marathon on March 4th. I ended up with blisters on my feet and could barely walk for 2 or 3 days but I completed my goal. The average time for a male is 2 hours for a half marathon so about a 9 and 1/2 minute sustained mile for the entire run. Finishing is a big accomplishment though so it’s better to focus on achieving goals and not on setting records, especially your first time around.